"Buy in acres and sell in lots." - John Jacob Astor. 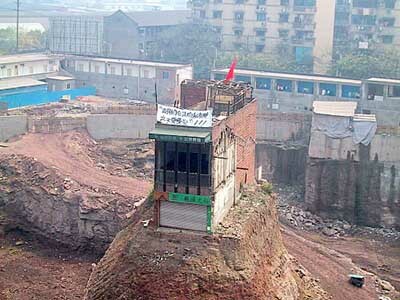 "The major fortunes in the world have been made in land investment." - John D. Rockefeller. "Ninety percent of all millionaires become so through owning real estate." - Andrew Carnegie. "It's tangible, it's solid, it's beautiful. It's artistic, from my standpoint, and I just love real estate." - Donald Trump. "Could I begin life again, knowing what I now know, and had money to invest, I would buy every foot of land on the Island of Manhattan." - John Jacob Astor. "Real estate cannot be lost or stolen, nor can it be carried away. Purchased with common sense, paid for in full, and managed with reasonable care, it is about the safest investment in the world." - Franklin D. Roosevelt. ESTATE AGENT is the term used in the United Kingdom to describe a person or organization whose business is to market real estate on behalf of clients, but there are significant differences between the actions and liabilities of brokers and estate agents in each country. Beyond the US, other countries take markedly different approaches to the marketing and selling of real property. A REAL ESTATE BROKER is a term in the United States and Canada that describes a party who acts as an intermediary between sellers and buyers of real estate (or real property as it is known elsewhere) and attempts to find sellers who wish to sell and buyers who wish to buy. In the United States, the relationship was originally established by reference to the English common law of agency with the broker having a fiduciary relationship with his clients. In the US, Real Estate Brokers and their salespersons (commonly called "Real Estate Agents" or, in some states, "Brokers") assist sellers in marketing their property and selling it for the highest possible price under the best terms. When acting as a Buyer's agent with a signed agreement (or, in many cases, verbal agreement, although a broker may not be legally entitled to his commission unless the agreement is in writing), they assist buyers by helping them purchase property for the lowest possible price under the best terms. Without a signed agreement, brokers may assist buyers in the acquisition of property but still represent the seller and the seller's interests. In most jurisdictions in the United States, a person must have a license before they may receive remuneration for services rendered as a Real Estate Broker. Unlicensed activity is illegal, but buyers and sellers acting as principals in the sale or purchase of real estate are not required to be licensed. In some states, lawyers are allowed to handle real estate sales for compensation without being licensed as brokers or agents. Fairytale French castles fit for a beauty (... or a beast) - The Telegraph. Italy is giving away dozens of historic buildings for free (with just one catch) - The Telegraph. Rent-a-Foreigner in China - rural Chinese real estate companies believe that filling their remote buildings with foreign faces, even for a day, suggests that the area is "international," a buzzword in provincial areas that often translates to "buy." Tesla Solar Roof - "Solar Roof complements your home’s architecture while turning sunlight into electricity. With an integrated Powerwall battery, energy collected during the day is stored and made available any time, effectively turning your home into a personal utility. Glass solar tiles are so durable they are warrantied for the lifetime of your house, or infinity, whichever comes first." Martel Maides, Guernsey - "The go to estate agent." Established over 40 years ago and has become Guernsey's most comprehensive estate agent for the sale, letting and management of property in Guernsey, Channel Islands. Imperio - "Elite Residences." The Cyprus Government, in its continuous effort to attract foreign investments, has adopted a range of policies that allow third country individuals (non-EU citizens) to obtain Permanent Residence Permit in Cyprus (PRP). Permanent Residence Permit (PRP) is easily obtained for people who purchase property. VIP Castle - castles for sale. Has been working in the market of historical real estate since 2007. DANISH HOMES - "Danish Homes is the largest and oldest company in the housing rental business in Denmark." SADOLIN | ALBÆK - an independent real estate and consultant agency. cogemad - "Haute-Couture Estates & Interiors." For over 25 years COGEMAD has been creating living spaces for clients who are connoisseurs of taste, luxury and refinement. DANIEL FÉAU - luxury real estate in Paris. Also apartments for sale or rent. HERMITAGE RIVIERA - "Luxury real estate on the French Riviera." Located in Nice, Hermitage Riviera is a team of experienced professionals, specialised in the sale, rental and management of luxury residential properties on the French Riviera. JOHN TAYLOR - "Luxury real estate in France, Italy, Spain, Switzerland, Principlaity of Monaco, Malta, Germany, Qatar, England, Maritius since 1864." NICE PROPERTIES - "The Best Real Estate on the French Riviera." RIVIERA ESTATES - "Savills French Riviera." Savills offers exceptional luxury property for sale and rent on the French Riviera, from the Italian border to Saint Tropez, as well as bespoke property services for the most discerning international clientele. Engel & VÖlkers - "Your real estate agent Costa Smeralda." Sotheby's International Realty - "Luxury Homes for Sale in Italy." Toscana Houses - "Real Estate in Tuscany: 5,000+ Villas, farmhouses, apartments for sale." Tuscany Real Estate.com - "In cooperation with the best real estate agencies in Tuscany, we propose a selection of villas, farmhouse and apartments for sale in the Tuscany region." Monaco Is the World’s Most Expensive Place to Buy Luxury Homes - Bloomberg. AFA INTERNATIONAL - "Your French Riviera Real Estate Specialist since 1988." AGENCE GRAMAGLIA - "A name present on the real estate market for over 50 years." LA COSTA PROPERTIES - "Monaco Real Estate - Experience Ultimate Luxury." LORENZA VON STEIN - "Monaco’s leading real estate agency." PORTO MONTENEGRO - "Created by yachtsmen, for yachtsmen." Porto Montenegro is backed with the entrepreneurial experience and financial stability to ensure its success. 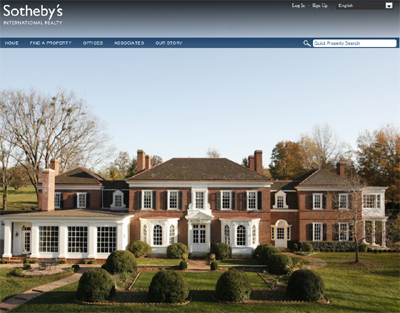 Sotheby's International Realty - "Russia Luxury Real Estate and Homes for Sales." Amazing Marbella - since 2010. "Luxury Villas & Apartments for sale in Marbella." Butterfly Residential - "Boutique real estate company specialising in luxury property for sale and high end rentals in some of the world’s most exclusive locations. Our extensive portfolio of distinctive villas and apartments includes property for sale in Marbella, Barbados, St. Lucia, Andorra, Brazil, France, Gibraltar, Italy, Portugal, Switzerland, United Arab Emirates, United States and United Kingdom." ESTATE AGENTS MARBELLA - "Excellence in luxury Marbella real estate since 2001." Panorama Properties - since 1970. "Marbella's Longest Established Real Estate Agency." EKLUND | ESNY - "Eklund Stockholm New York was founded summer of 2009 by Fredrik Eklund because Sweden lacked an international real estate brokerage specializing in the most exclusive properties." de Rham - since 1899. Agence immobilière Lausanne. Engel & VÖlkers Gstaad - "Rent & Sale." Maura Wasescha - "Luxury Properties for Rent and Sale." Berne & St. Moritz. Real Estate St. Moritz - "Real Estate, Property and Holiday Apartments St. Moritz - Engadine." Sotheby's International Realty - "Luxury Homes for Sale in Switzerland." Beauchamp Estates - "When you employ the services of Beauchamp Estates, you will benefit from the knowledge and expertise of a company with nearly 40 years' in-depth experience of the London property market." 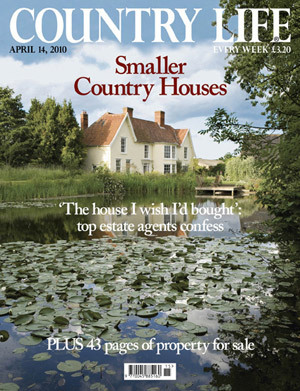 COUNTRY LIFE MAGAZINE - "The Home of Premium Property." FAREBROTHER - "Real estate advisers and chartered surveyors." Since 1799, Farebrother has been delivering real estate advice and consultancy based on real-world expertise. We take a multi-disciplinary, market-facing approach to everything we do for our commercial, retail, and residential clients. HAMPTONS INTERNATIONAL - "Hamptons International offers an extensive portfolio of UK and international property, marketed via our 85 offices." Along with services including sales, lettings, developments, property management, insurance and mortgages. Offices spans four continents and includes the UK, Italy, Morocco, Monaco, Dubai, Abu Dhabi, Oman, Saudi Arabia, Egypt and India. Owned and operated as a subsidiary of Emaar Properties, one of the world's largest real estate companies. JOHN TALORS - since 1859. Longstanding family firm of estate agents, surveyors, valuers and auctioneers with offices in Louth and Market Rasen. KNIGHT FRANK - "Global Real Estate Consultants." The leading independent global residential and commercial property consultancy. MARCUS COOPER GROUP - since 1991. "Our substantial and diverse property portfolio encompasses some of the most prestigious buildings in London, setting us apart as one of the UK's most successful private property companies." QUINTESSENTIALLY ESTATES - "Global property company offering property search and acquisition, property marketing, sales and lettings and home management services." SAVILLS - established in 1855. A global real estate services provider listed on the London Stock Exchange. "We have an international network of more than 200 offices and associates throughout the Americas, the UK, continental Europe, Asia Pacific, Africa and the Middle East, offering a broad range of specialist advisory, management and transactional services to clients all over the world." Wetherell Estate Agents - since 1982. "Mayfair's Finest Properties." Mayfair estate agents Wetherell specialise in Mayfair property, advising clients on the finest residential sales, lettings, investments and new developments in this world-renowned address. ALDAR PROPERTIES - "From its beginnings in 2005 through to today, Aldar continues to shape and enhance the urban fabric of the UAE’s Capital City in addition to other key areas of the Emirate of Abu Dhabi." Al Habtoor Properties - "Formed in 2008 by Mr. Rashid Khalaf Al Habtoor, the company was setup primarily to service the Al Habtoor Group’s building management contracts and to be the exclusive leasing of the towers, also to benefit from the rising sales boom in the UAE real estate market." DAMAC PROPERTIES - "Established in 2002, as a private residential, leisure and commercial developer in Dubai and the Middle East. Since then, the Company has expanded rapidly into North Africa, Jordan, Lebanon, Qatar and Saudi Arabia." EMAAR PROPERTIES - "The Pioneer of Master-Planned Communities in Dubai." Emaar Properties is one of the world’s most valuable and admired real estate development companies. With proven competencies in property, shopping malls & retail and hospitality & leisure, Emaar shapes new lifestyles with a focus on design excellence, build quality and timely delivery. Hamptons International - "A premier international real estate agent in Dubai offering an extensive portfolio of properties in the UAE and internationally. With more than 140 years of experience and one of the top real estate companies in dubai, we offer unrivalled expertise and service in Residential and Commercial Sales, Leasing and Property Management and Valuations and Research, particularly in the Dubai property market." HMS Homes - "HMS homes is an independently owned real estate company based in Dubai, focused on providing an exceptional service to all customers. We believe that the real estate market and services currently offered within Dubai is in need of some improvement." NAKHEEL - "As one of the world’s largest and leading real estate developers, Nakheel is creating new communities across Dubai." Sloanes Real Estate Brokers - "Boutique agency, specialising in buying and selling of high-end luxury real estate. Based in Dubai, our focus is predominantly UAE based, however we are able to assist our clients with purchases from many major countries around the world." STARS DOME REALTY - "Best Properties in Dubai." VERZUN - founded in 2008. "Finest Properties Around The World." Our business is niche, but our reach is global. We work exclusively with homes worth $10 million and above, cultivating and curating a network of properties, individuals and investors at this level across the world. Yasin Valimulla - "Mr Palm Jumeirah." A real estate power broker specialising in the world’s most distinctive properties in Dubai and beyond, more notably the Palm Jumeirah. We have a global business reach with over 300 offices worldwide, cultivating and curating a network of properties, individuals and investors at a high level across the world. BARWA REAL ESTATE - "The Future is Qatar." JustProperty.Qa - "Property for Sale and Rent in Doha, Qatar." Qatar Property Planet - "Qatar Property World is proud to establish itself as one of the leading sites bringing sellers, buyers, and renters of Qatar property together." Canada Costa Rica Mexico U. S. A.
McGill Real Estate - "Montreal Real Estate Agency." Sotheby'e International Realty Canada - "Luxury Real Estate." Homes & condos for sale. Costa Rica Luxury Real Estates - since 1990. "The Luxury Real Estate Boutique of Costa Rica." The Company specializes in the marketing and selling of million dollar homes, estates and mansions in Costa Rica. It also offers the most exclusive resorts, hotels, parcels and investment opportunities. With Capacity, Leadership and Excellence, Costa Rica Luxury Estates (CLE) is recognized as the top luxury real estate boutique firm of Costa Rica. LPR Luxury - "Explore Pacific Mexico." Luxury real estate and vacation rentals firm based in Puerto Vallarta to Punta de Mita, Mexico. BROWN HARRIS STEVENS - since 1873. DAVID OFFER | FINE HOMES - Brentwood, Pacific Palisades, Santa Monica, Westwood, Bel Air and Beverly Hills. DAVID OLGILVY & ASSOCIATES - established reputation for excellence in the Greenwich luxury real estate market. Douglas Elliman - since 1911. "The largest regional and the nation's fourth largest real estate company, with a current network of more than 5,000 agents in over 70 offices throughout Manhattan, Brooklyn, Queens, Long Island (including the Hamptons and North Fork), Westchester and Putnam Counties, as well as South Florida, California, Connecticut, Colorado and New Jersey." DUPONT REGISTRY - "A Buyer's Gallery of Fine Homes." EBBY HALLIDAY REALTORS - since 1945. Dallas real estate. FRIEDBERG PROPERTIES & ASSOCIATES - Bergen, Hudson and Passaic Counties. HADID - "Elegance, Beauty, Perfection. From his beginnings in Washington, D.C. developing and building unique office developments, residential developments and Ritz Carlton Hotels in Washington, New York, Aspen and Houston, Hadid expanded his work to redefine exquisite estates in Aspen, Mexico, and now Beverly Hills." HALL & HALL - "Since 1946, Hall and Hall has specialized in serving the owners and prospective owners of quality rural real estate." HALSTEAD PROPERTY - "Halstead Property is one of the largest and most visible residential real estate brokerage firms in New York. Headquartered at 499 Park Avenue, the firm has 1,200 sales and rental agents throughout prime retail offices in New York, New Jersey and Connecticut." Hawaii luxury homes - Sotheby’s International Realty. Hawaii Luxury Real Estate for Sale - Christie's International Real Estate. HILTON & HYLAND - since 1993. "The Leading Los Angeles Luxury Real Estate Brokerage." Specializes in the communities of Beverly Hills, Bel-Air, Westwood, Brentwood, Pacific Palisades, Malibu and West Hollywood. HURWITZ JAMES COMPANY - since 1986. "Luxury Real Estate Worldwide." Interinvestments Realty - "South Florida Realtors." JONAS LANG LASALLE - financial and professional services firm specializing in real estate services and investment management. "Our more than 30,000 people in 750 locations in 60 countries serve the local, regional and global real estate needs of those clients." JOYCE REY - since 1973 Beverly Hills' most distinguised luxury realtor. "Joyce Rey has spent more than four decades selling America’s most significant residences, setting many records along the way. 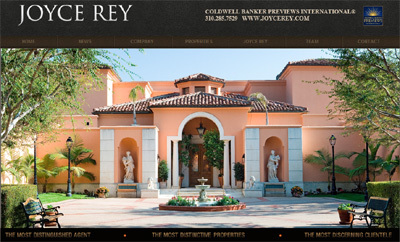 One of the most respected names in luxury real estate worldwide, Rey has amassed nearly USD 3 billion in career sales." LANDVEST - "New England Luxury Real Estate." LAWRENCE A. MOENS ASSOCIATES - "Established in 1982 specializing in Palm Beach’s finest residential properties." Luxury Estates International - "Luxury Estates International is a luxury real estate brokerage specializing in the selling of million dollar listing homes and high rise condos." Luxury Estates International (LEI) is an upscale real estate brokerage specializing in the marketing and selling of the finest luxury homes, high rise condos, top-of-the-line penthouses and most sought after parcels of land. With a mission to deliver only the best first-class service and results. LUXURY PORTFOLIO - luxury homes from Leading Real Estate Companies of the World. LUXURY REAL ESTATE - "The most viewed luxury real estate website in the world." An international network with more than 60 countries representing the finest residential luxury estates and property brokerages. LUXURYHOMES.COM - "Luxury Homes, Real Estates and the Brokers who sell them." luxuryrealestate.com - since 1986. "Who’s Who in Luxury Real Estate celebrates 30 years in business!" Luxury villa rentals, homes for sale and rent worldwide". Europe, Asia, America, Africa, Oceania. Mansion Global - "Find Luxury Homes and Mansions for Sale." A premier digital destination connecting the world’s affluent real estate buyers with prestige properties across the globe through relevant, timely listings and compelling content. MARQUETTE TURNER LUXURY HOMES - awarded most outstanding luxury agency in the world by Who's Who in luxury real estate. MCMONIGLE GROUP - "Based in Newport Beach, California, but renown both nationally and internationally, McMonigle and his team have made history over the past 10 years by selling properties totaling more than $4.5 billion." MILLER SAMUEL INC. - "Established in 1986, Miller Samuel is a family-owned business that provides appraisal and consulting services on residential property throughout the New York City metro area." Mizner Grande Realty - "South Florida Real Estate." Luxury Real Estate and Beach Properties. Ojai, CA Real Estate & Homes for Sale - realtor.com. OLIVIA HSU DECKER | DECKER BULLOCK | SOTHEBY'S INTERNATIONAL REALTY - "Offering finest collection of San Francisco Bay Area luxury homes for sale." PROMINENT PROPERTIES | SOTHEBY'S INTERNATIONAL REALTY - "New Jersey Real Estate and Homes For Sale." PropGOLuxury.com - founded in 2006. Luxury Properties Worldwide." Founded in 2006, PropGOLuxury remains the only US based online real estate company in Asia. REALTOR.COM - "Discover Your Perfect Home with the most complete source of homes for sale & real estate near you." RE/MAX - "Outstanding agents. Outstanding results." Franchise network of more than 100,000 agents in more than 82 countries with more than 7,000 offices. RODEO REALTY - "As the largest independent real estate brokerage operating throughout Los Angeles, Rodeo Realty is uniquely positioned to provide first-class luxury service, with outstanding results, to each and every client." SFJ GROUP | Sally Forster Jones - "Widely considered an authority on the U.S. real estate luxury market." SPECIAL PROPERTIES - affiliate of Christie’s International Real Estate. "New Jersey Luxury Real Estate. STACY GOTTULA - "Stacy Gottula has devoted the better part of her professional career to her clients by providing the highest quality real estate services in California. She specializes in Beverly Hills Real Estate, Los Angeles Real Estate, Hollywood Hills Real Estate and Bel Air Real Estate." Synergy | SOTHEBY'S INTERNATIONAL REALTY - "Kristen Routh-Silberman is a million dollar agent specializing in buying, selling and marketing luxury homes and estates throughout Las Vegas and Henderson, NV." THE TRUMP ORGANIZATION - renowned for its leadership in real estate development, sales and marketing, and property management representing the highest level of excellence and luxury in residential, office, and retail properties. TRULIA - "Find the right home and neighborhood for you." UNIQUE HOMES - "The World of Luxury Real Estate." Agent network. UTOPIA RESIDENCES - 190 residences available for purchase, ranging from the spacious two-bedroom Olympian Estates to the ultra-luxurious 6,500-square foot Utopian Estates. 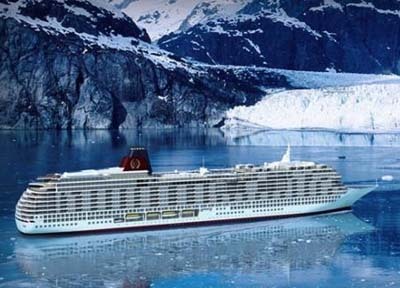 Utopia will bring the world to your doorstep as you journey from continent to continent aboard the most opulent residential ocean liner ever built. Due to be delivered by Samsung Heavy Industries by 2013. WESTSIDE ESTATE AGENCY - "Luxury Homes Real Estate | Beverly Hills, Bel Air & Malibu." ZILLOW.COM - "Real Estate, Apartments, Mortgages & Home Values." The leading real estate marketplace. Search millions of for-sale and rental listings, compare Zestimate home values and connect with local professionals. 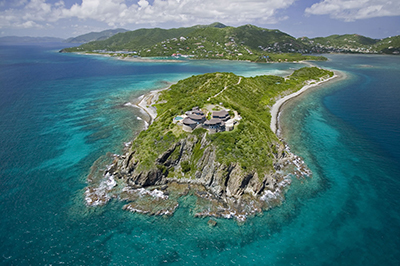 6 Luxurious Private Islands For Sale - Forbes. 6 Private Island Rentals on Airbnb - "Why limit your vacation to just part of an island when you can rent the whole thing?" 7 Stunning Private Islands You Could Actually Buy - Cosmopolitan. 19 best Greek islands - The Telegraph. 20 of world's most fascinating remote islands - The Telegraph. America's most beautiful islands - CNN travel. As Climate Change Accelerates, Floating Cities Look Like Less of a Pipe Dream - The New York Times. Billionaire Private Islands: 10 Luxurious Retreats & Hidden Hideaways - Forbes. 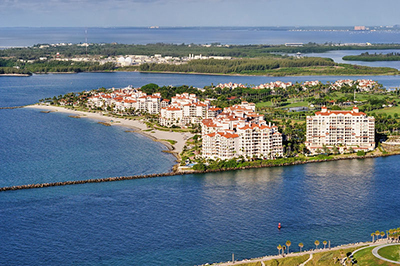 Fisher Island - census-designated place of metropolitan Miami, Florida, located on a barrier island of the same name. As of the 2010 census, Fisher Island had the highest per capita income of any place in the United States. The CDP had only 226 households and a total population of 132 persons. Named for automotive parts pioneer and beach real estate developer Carl G. Fisher, who once owned it, Fisher Island is three miles off shore of mainland South Florida. No road or causeway connects to the island, which is accessible by private boat or ferry. Once a one-family island home of the Vanderbilts, and later several other millionaires, it was sold for development in the 1960s. The property sat vacant for well over 15 years before development was begun for very limited and restrictive multi-family use. 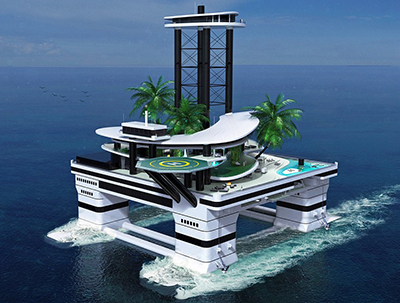 Forget the mega yacht - tomorrow's billionaires can buy a portable ISLAND - Daily Mail. 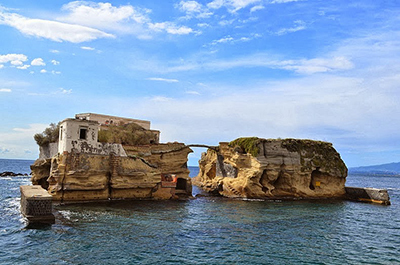 Gaiola Island - one of the minor islands of Naples, off the city's Posillipo residential quarter, in the Metropolitan City of Naples and Campania region, southwestern Italy. Naples's legend has considered Gaiola a "cursed island", which with its beauty hides a "restless fate", the "Gaiola Malediction." The reputation developed from the frequent misfortunes and premature deaths in the families of its 20th century owners. For example, in the 1920s, it belonged to the Swiss Hans Braun, who was found dead and wrapped in a rug. A little later, his wife drowned in the sea. The island has also since belonged to: Gianni Agnelli, the Milanese owner of Fiat Automobiles, who suffered the deaths of many relatives; and to billionaire J. Paul Getty, who experienced from afar the suicide of his oldest son, death of his youngest son, and kidnapping of a grandson, before his own death. Gardiners Island - Gardiners Bay, East Hampton, New York, U.S.A. It is 6 miles (9.7 km) long, 3 miles (4.8 km) wide and has 27 miles (43 km) of coastline. The island has been owned by the Gardiner family and their descendants for nearly 400 years, and it is the only American real estate still intact as part of an original royal grant from the English Crown. 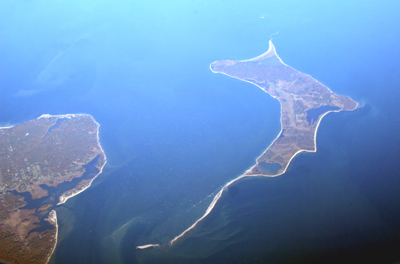 It is one of the larger privately owned islands in the United States. How to buy a private island - even if you're not a tech billionaire - Business Insider. List of high profile island owners - Wikipedia. Lists of islands - Wikipedia. Lessons in Luxury: the Seychelles private-island resort that has saved a species - The Telegraph. Luxury Caribbean island hideaway can only be bought using bitcoin - The Telegraph. Mustique - small private island that is one of the Grenadines, a chain of islands in the West Indies, and part of Saint Vincent and the Grenadines. 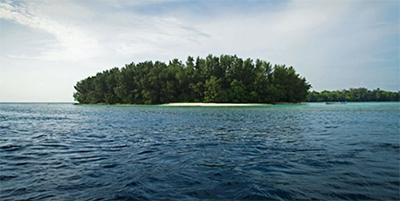 The island covers 1,400 acres (5.7 km²; 2.2 sq mi) and it has several coral reefs. The land fauna includes tortoises, herons and many other species. Its year-round population of about 500 mostly live in the villages of Lovell, Britannia Bay, and Dover. 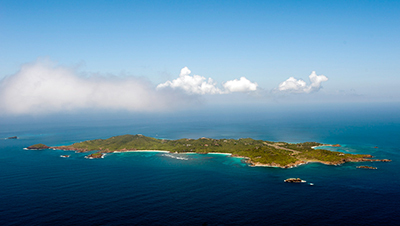 The island of Mustique is owned by the Mustique Company, which in turn is owned by the island's home owners. The island has approximately 100 private villas, many of which are rented out through the Mustique Company. In addition there is one hotel called the Cotton House, owned by the Mustique Company, and one privately owned seven-bedroom hotel called Firefly. 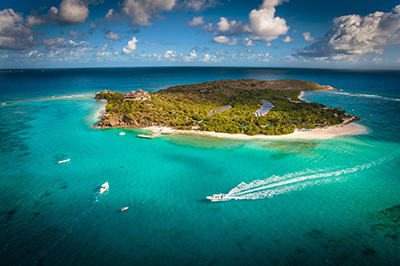 Necker Island - 30-hectare (74-acre) island in the British Virgin Islands just north of Virgin Gorda. The island's land is entirely owned by Sir Richard Branson, Chairman of the Virgin Group and is part of the Virgin Limited Edition portfolio of luxury properties. The whole island operates like a resort and can accommodate up to 34 guests, with additional room for 6 children. Paradise Island - an island in the Bahamas formerly known as Hog Island. 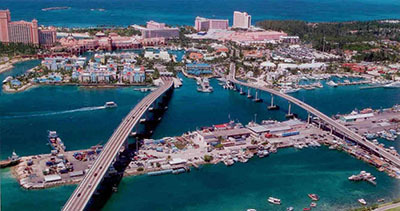 The island, with an area of 277 hectares (685 acres) (2.8 km²/1.1 sq mi), is located just off the shore of the city of Nassau. It is best known for the sprawling resort Atlantis with its extensive water park rides, pools, beach, restaurants, walk-in aquarium and casinos. Huntington Hartford, the A&P supermarket heir, arrived on Hog Island in 1959. Hartford bought Hog Island from Axel Wenner-Gren and changed the name to Paradise Island. Paradise Island was purchased in the 1980s for $79 million, then sold to Merv Griffin for $400 million. It was last sold for $125 million to the current owner, Sol Kerzner. The current estimated value of the island is about US$2 billion. Private Island News - "Established in 2011, is a web site connecting readers to news about the private island world. It aims to accurately reflect the state of this global market, with informative news items and feature articles, covering a wide variety of issues affecting private islands." 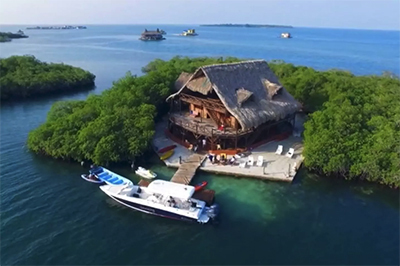 Private Islands for rent - "A Wish List by Airbnb." 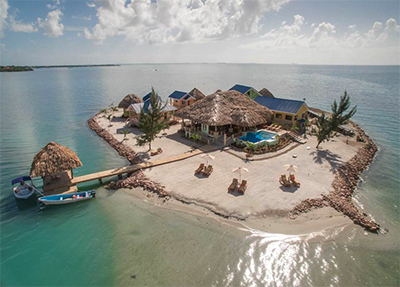 Private Islands For Rent in the US - Thrillist. PRIVATE ISLANDS MAGAZINE - "A lifestyle for the independent adventuous personality." Showcasing the world's most exclusive island properties for sale and rent. Produced biannually, Private Islands Magazine contains more than 112 pages dedicated to the most beautiful, unique islands in the world. Explore the possibilities. Private Islands: The Ultimate Status Symbol - Elite Traveler. 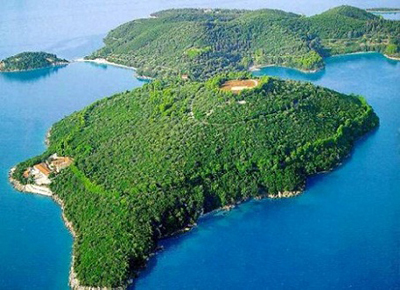 SKORPIOS - private island in the Ionian Sea, Greece. Mainly known as the private island of the late Greek shipping billionaire Aristotle Onassis. Bought in April, 2013 by Ekaterina Rybolovleva, 24, daughter of Russian billionaire Dmitry Rybolovlev. the richest of the rich and their island getaways – interactive - The Guardian. Top 10: world’s most exclusive island resorts - the Luxury Travel Expert. Welcome to the world's smallest inhabited island - The Telegraph. What to get a woman who has everything? - Daily Mail. world's best private islands - The Telegraph. world's 19 weirdest islands - The Telegraph. Yacht Island Design - since 2011. The Yacht Island. Airbnb - Private Islands for rent - since 2008. "A Wish List by Airbnb." Dream Exotic Rentals - since 2000. "Private Island Vacation Rentals." ERA Dupuch Real Estate - since 1993. "Bahamas Islands For Sale." FlipKey - since 2007. "Private Island Vacation Rentals." For those travelers who crave sun, surf, and - above all - privacy, there's only one place to go: your own private island. 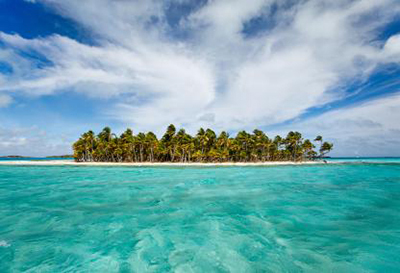 FlipKey has a selection of private islands around the world for you to enjoy. 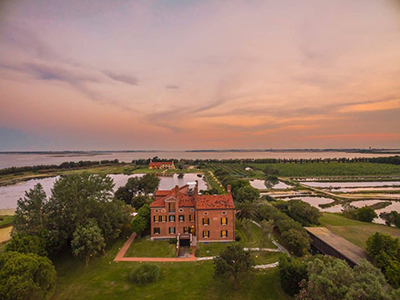 Isola Santa Cristina - "Rent a Venice Private Island." ‘... arguably the most exclusive place to stay near Venice.’ - Departues. Migaloo Private Submersible Yachts - since 2013. 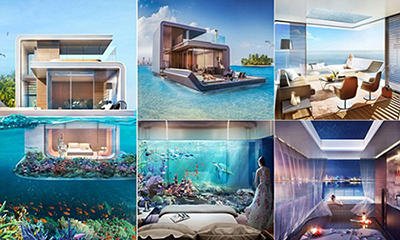 "Private floating habitat based on semi-submersible platforms." 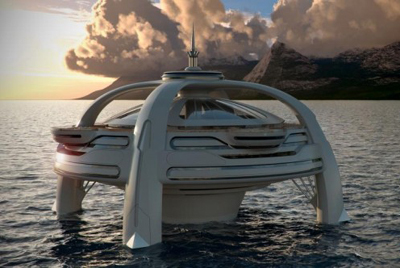 Designers have come up with plans for a floating private island that could be moved anywhere in the world. ORSOS ISLANDS - since 2012. "An exciting new Home or Holiday experience." ORSOS Islands stands for an easy going, relaxed and personal holiday experience that combines all the positive aspects of mainland real estate and luxury yachts. Private Islands Inc. - since 1999. "The foremost global marketplace for private island sales and rentals. Whether you are in the market to purchase your dream island or ready to sell your prized property, we are 100 percent dedicated to the world of private islands." 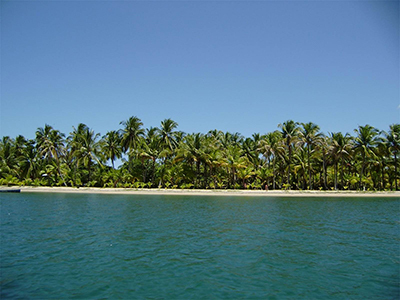 PRIVATE ISLANDS ONLINE - since 1999. 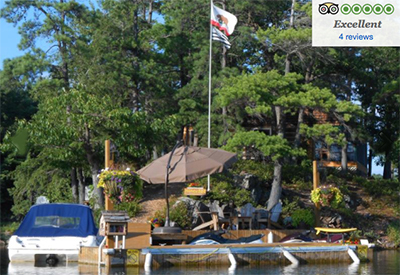 "Browse hundreds of islands available for sale and rent worldwide. Private Islands Online is the World"s most comprehensive marketplace." SOTHEBY'S INTERNATIONAL REALTY - since 1976. "Private Island Properties." Infinite views, the serene sound of lapping tides and secluded elegance await on your private island paradise. Discover the true definition of escape and tranquility when our unrivaled international network of real estate professionals matches you with the private island of your wildest dreams. Taprobane Island - "Sri Lanka’s only privately owned island. The No.1 address in the Indian Ocean." 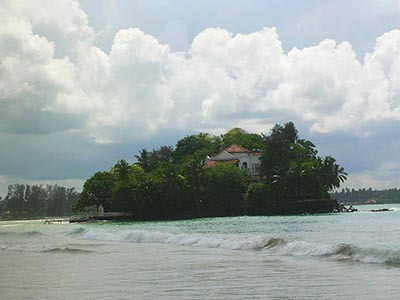 Taprobane Island was originally built in the 1920's by the romantically-named but self-styled Count de Mauny-Talvande. The island, with its neo palladian mansion, has played host to kings, queens, presidents, prime ministers, aristocracy, writers and eccentrics, giving it a very colorful history, which guests can now share. The Island comprises two and a half acres of sheer tropical fantasy with nothing between it and the South Pole. Accommodation includes five en-suite bedrooms, with spacious living areas, balconies, verandahs, tropical gardens and a stunning infinity pool. 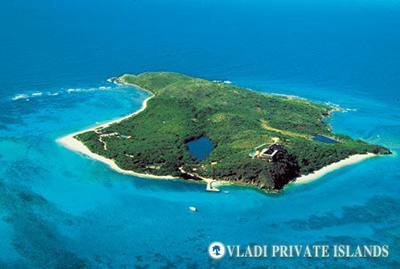 VLADI PRIVATE ISLANDS - "Meet the world record holder in selling private islands worldwide: 2,650+ certified island sales since 1971."